The worlds of luxury property and contemporary fine art joined forces at Mayfair’s exclusive Adam’s Row mews, creating a unique opportunity to showcase an exceptional mews residence and the latest work of leading artist Piers Bourke, entitled Flying Home. The worlds of luxury real estate and fine art are increasingly finding common ground and shared interests, both in respect of locations, with space to accommodate art works of scale, and client bases. Working together artists’ and agents are able to create unique, immersive and intimate events, that showcase both asset groups in a dynamic and engaging way. This experiential based approach to sales is something that, while relatively new to property and real estate, is very much in vogue at all levels of the market in the retail sector. In creating a more experience-based event/purchase opportunity participants/guests leave with feelings and memories both about the event and the hosts, increasing chances or repeat interaction. ‘Retailtainment’ is predicted to dominate the retail and entertainment market, with increasing relevance for other sectors, such as property. 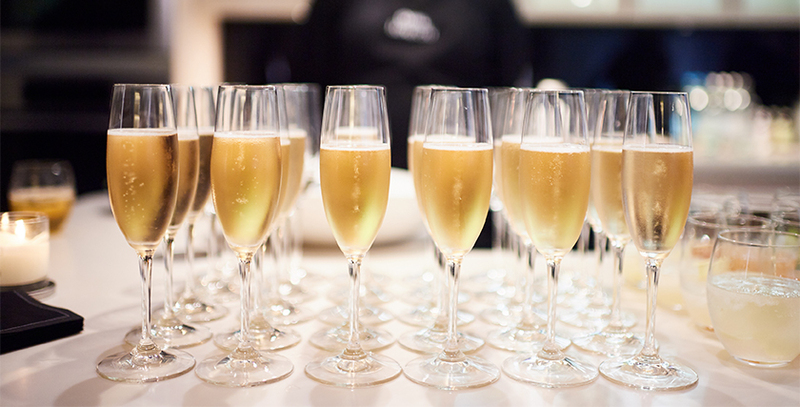 The unique and generally invitation only events of the property and art world allow clients to view their primary point of interest, whether art or property, from a new perspective, creating a social event that encourages clients to view both the art and property in greater detail, possibly leading to a further discussion on purchase. This collaborative approach brought together key partners: vendor, artist, property agents and artist’s agent, all of whom were open to the approach of working to create a unique experience and event. Alex Bourne, Director at Beauchamp Estates Marylebone, commented: “The Adam’s Row property is in an excellent location, in prime central Mayfair, and offers an amazing range of features and facilities, including a cinema room and off-street parking. The event, Flying Home, has been a great success: the artist Piers Bourke was the catalyst for its development. We were delighted to help create the event along with Piers and his team and the fit between the work and the property could not have been better, creating a memorable and successful evening. We will certainly be exploring further events where the fit and chemistry is right. 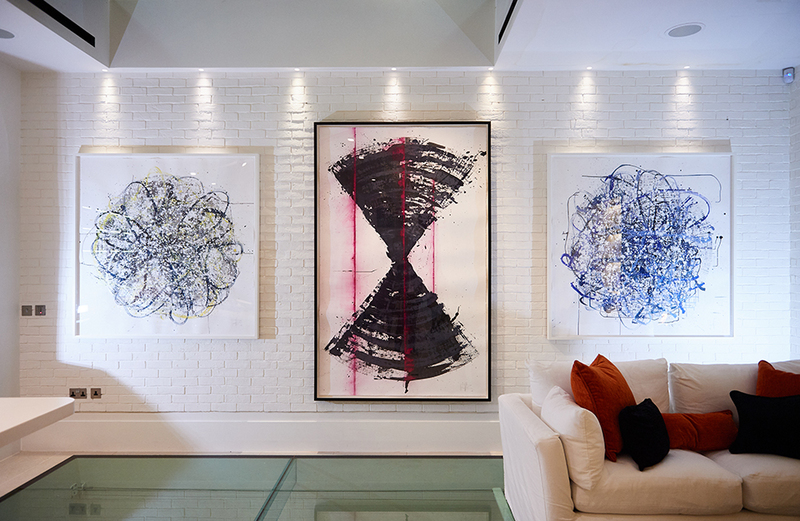 The artist, Piers Bourke felt that the opportunity to show his new body of work in a private Mayfair property provided the perfect setting for audiences to view the pieces in an intimate and informal environment. The relaxed atmosphere that comes with such a location, outside of the typical gallery space, promotes people being able to talk openly about the art and have a greater sense of engagement. Located in the uber-exclusive enclave of Adam’s Row in the heart of Mayfair, residents of the mews house benefit from being within walking distance from some of London’s most critically acclaimed restaurants including 34, Jamavar and Scott’s. Mayfair offers the highest concentration of smart restaurants with 89 in total. The area further provides a number of the capital’s most fashionable shops such as those in Burlington Arcade and on Bond Street. Adam’s Row is a contemporary double fronted gabled coach house, with an elegant Victorian-era brick façade with feature chimneys, ornate gable and pediment detailing. Upon entering the mews house, residents and guests are met by an impressive entrance hall. An elliptical staircase with central atrium and roof-light connects the lower-ground floor as well as the two upper floors. The ground floor itself provides the gourmet kitchen as well as a spacious dining room and entertaining area. The ground floor has 12 ft high ceilings and the kitchen has a feature brick wall, glass ceiling (doubling as a patio above) and glass flooring, enabling natural light to cascade into the living spaces. The glass ceiling opens electronically providing an option for al-fresco dining. The first floor of Adam’s Row features a large drawing room with white oak flooring, bespoke joinery and working fireplaces at each end and spans the entire front façade of the house with sash windows overlooking the mews. To the rear of the first floor is the master bedroom suite, with a drop-down cinema screen and walk-in dressing area lined with fitted wardrobes. The en-suite master bathroom provides a freestanding sculptural bathtub and walk-in shower, opening onto the glass floored patio, providing views into the gourmet kitchen and family room below. On the top floor of the mews house are three further guest bedroom bedrooms suites, each with en-suite facilities. The lower ground floor of the house offers a boutique spa including a kitchenette. Bar area, gymnasium, 10 seat cinema and media room with a champagne/wine wall, steam room and shower facilities. Running between South Audley Street and Carlos Place, on the doorstep of the Connaught Hotel and Mount Street, this quiet residential mews was originally known as Adam’s Mews and renamed in 1937 as Adam’s Row. Adam’s Row is perfectly located, benefitting from the restaurants, boutiques and hotels on its doorstep. With Grosvenor Square, Mount Street Gardens and Hyde Park/ Park Lane also moments away, the house would make the ideal central London home.